This module allows you to customize the look and feel of your map. It's designed to give you the ability to insert multiple location markers anywhere on your map, and set various custom map styles. Each marker can be customized with its own address, custom icon/image, and text that will appear on the tooltip pop-up. The backend preview mode allows you to insert a base map address which allows you to specify the area where you want your map to focus on. This creates a preview that'll show where your markers will appear on the map, and how the type and style will look like. 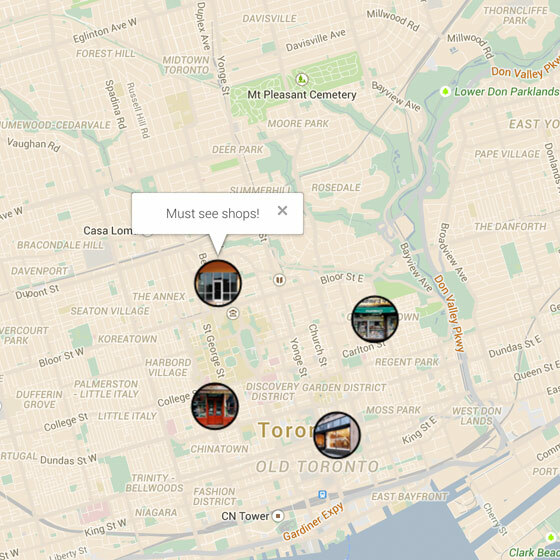 Check out Maps Pro demo page to see it in action.